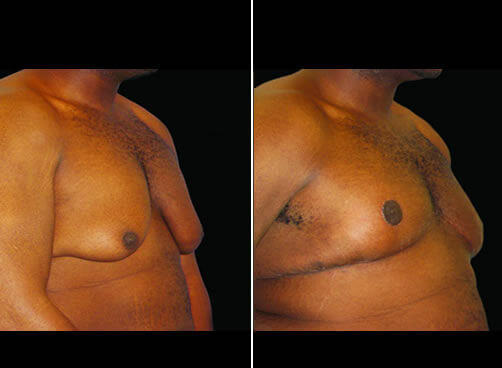 21 year old male 6'2" weighing 250 pounds underwent bilateral male breast reduction for treatment of gynecomastia. 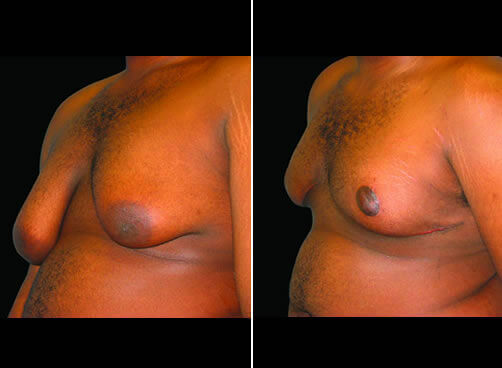 He presented with profound breast assymetry and large ptotic (droopy) breasts. The procedure involved liposuction and direct excision of breast tissue using an inverted T approach.